Since Betty appeared on the musical scene in the mid-1960s, she has carved out a niche all of her own in popular music. She writes music, lyrics, she produces, arranges and most importantly – she sings. As a singer she can be regarded as a soul singer, a pop singer, for a brief time she was a disco singer…. Her lyrics deal with anything from love via love gone really bad to social injustice and abuse, sometimes she even preaches on record. But whatever her message might be, all of it is performed with a voice that is one of the most stunning instruments to ever pop up in the history of music. Coming soon: a closer look at the fabulously talented Miss Betty Wright, and my views on most of her musical legacy from the 1960s and up until today…. 2018 actually marks the 50th anniversary of Betty Wrights break-trough as a recording artist; Her first tracks, “Thank you, baby” and “Paralyzed” were both local hits in her native Miami way back in 1965, when Betty was all of 12 years old! But Betty’s first album, “My First Time Around” came out 1968, the cover showing off a pretty young girl of 15, wearing a fancy hairdo and a knowing smile. The music was quite a revelation also…. 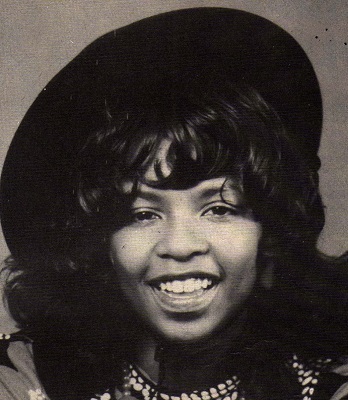 More about Betty Wright soon to appear on this site!